ShowMe team makes sure that the app meets the expectation of all users. 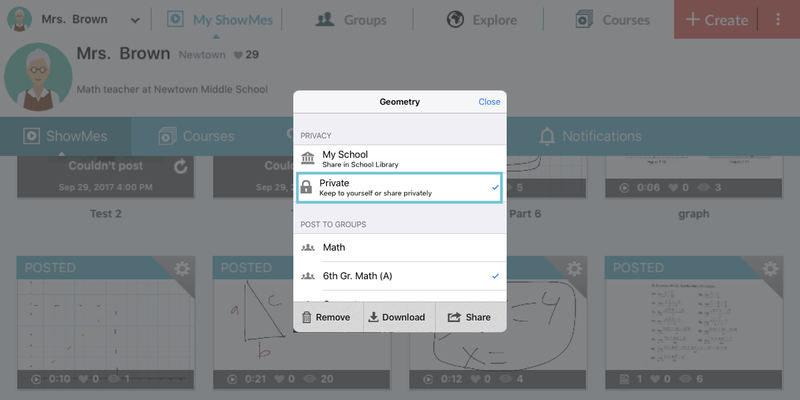 That is why ShowMe allows you to keep you awesome lessons on your cloud! Tap on a gear button of a lesson you want to export. From a popup menu tap on ‘Download’. Tap on a Google Drive icon. If you are not logged into the cloud, you will be redirected to the logging page. Remember that ShowMe slides will be saved in PDF format and ShowMe videos as an MP4 file. Contact us via support@showme.com or just text our team on Facebook or Twitter if you have any questions!